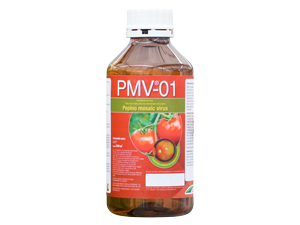 PMV®-01 is a sustainable and biological solution against damage caused by the Pepino Mosaic Virus (PepMV). PMV®-01 is a preventive vaccination that works through cross-protection, which is a well-known mechanism in plant virology. 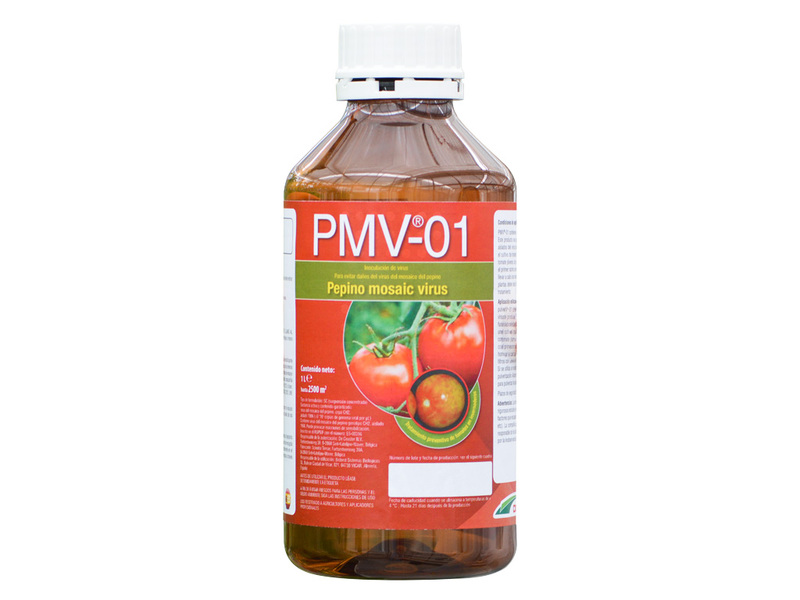 PMV®-01 contains a unique, mild and stable CH2 PepMV isolate, which colonizes the plant quickly and protects your crop until the end of the growing cycle. PMV®-01 is part of a complete vaccination strategy, including good hygiene measures. The level of protection depends on the genetic similarity between PMV®-01 and the PepMV isolate(s) attacking the plant. PMV®-01 is part of a complete vaccination strategy, including a careful cleanout of the greenhouse before planting, analysis of leaf samples before and after vaccination, and strict hygiene measures in the greenhouse. Protects tomatoes against damage and yield loss caused by PepMV. Widely proven to be a good solution for PepMV problems in the EU and Morocco. Based on many years of scientific research. EPA-registered as a plant protection product in the USA according to FIFRA section 3, with reg. No. 9255-1. Note: Contact your Biobest advisor for more information about the availability of the product in your state. Content: 5 x 1011 viral particles / qt.